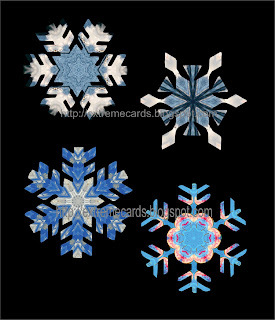 You can buy pre-made templates for kaleidoscope snowflakes to use with Kaleidoscope Kreator. Or...you can make your own! I used a free program, Mehdi Kaleidoscope 2.1 to make the kaleidoscope pictures. It works with Photoshop products and any program that can load Photoshop plugins (like Corel PhotoPaint or Paint Shop Pro). I used Photoshop Elements. Open a photo in Photoshop. I chose something with lots of blue. Crop the photo to a square. I try to get some color variety in the square and I often boost the saturation to get a brighter blue. Click on the plugin. Make sure you have 6 "petals". Adjust the sliders or click "random" until you like what you see. Save your kaleidoscope picture. If you have trouble viewing the slideshow, click here. Super simple method: in Photoshop click on the Cookie Cutter Tool. Select the snowflake. Adjust the size. You're done! The drawback is that there's only one snowflake shape. 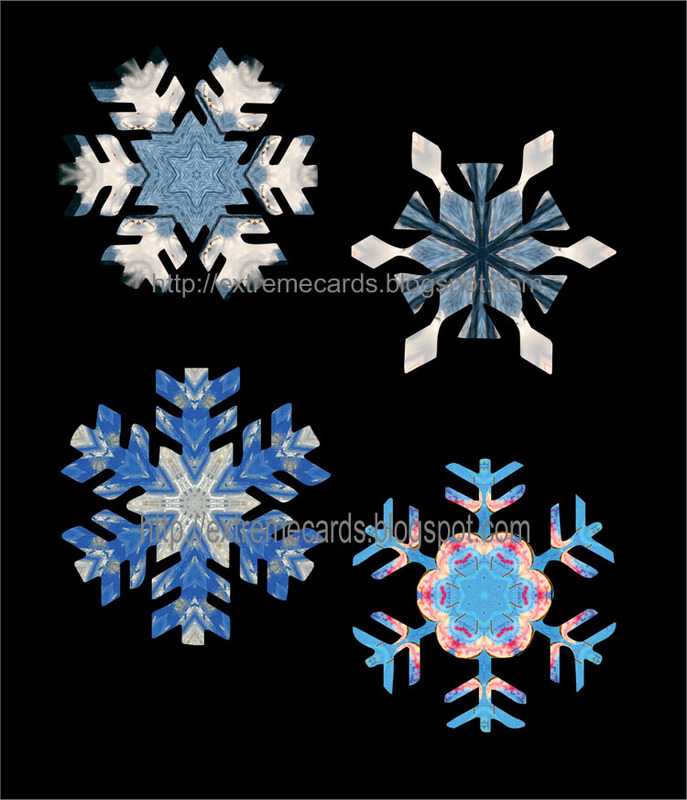 More complicated method, giving you a choice of snowflakes: open or import your kaleidoscope picture in a vector program. I usually use Corel Draw, but here I used Inkscape, because it's free and readily available. Direct link to this slideshow, if it's not showing up. You can cut these by machine if your cutter does print and cut.